Interaction 11 and SxSWi have both just announced their speaker lineups, and I've very honored to have been included in both. I hope to get a chance to meet many of you in Boulder and Austin next year. You're under the gun. Again. Only a few days to come up with a revolutionary new feature for your Web app. Or you've been tasked by your boss to give your company's new mobile experience a little more oomph. Or you're floating in the space of a nebulous client problem that you just can't seem to pin down. In these situations, it can be hard to focus on coming up with breakthrough ideas. But don't worry, help is to the rescue. David Sherwin from frog design, a global innovation firm, will share tools and methods that any interaction designer can use--especially those that are relatively new to the profession--to more consistently brainstorm quality ideas for creating and improving products, services and systems. How can I best structure my brainstorming processes? What lightweight brainstorming techniques can I use that will inspire new, more innovative design ideas more quickly? 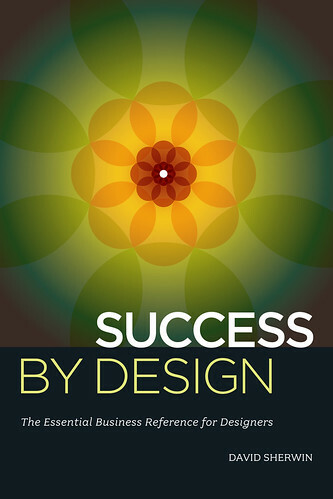 How can I be more effective in moving from project discovery to generating targeted design ideas? How can our team collaborate best across disciplines to rapidly iterate any type of interactive experience? How can our team best synthesize a wide range of ideas into a set of compelling client recommendations? 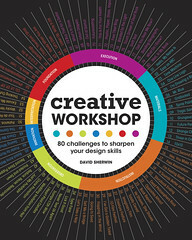 The workshop will also be informed by examples from frog brainstorming and David's book Creative Workshop: 80 Challenges to Sharpen Your Design Skills (HOW Design Press, Dec. 2010). At next year's South by Southwest, I'll be giving a 20-minute talk about how interactive designers can foster their creative skills, then signing copies of Creative Workshop.